Only one sleep to go until the big hike! It’s high foraging season so amidst all the packing and shopping and list-making and conferring and dehydrating there is still all the picking and washing and processing and drying to be done. Yesterday afternoon Paris and I went out gathering linden blossoms with our step stool. We thought we were too late, and it was true that many trees were past their prime but we found a lovely copse of perfect trees. The bit of extra shade extended the picking time just long enough for latecomers like us to still get the goods. 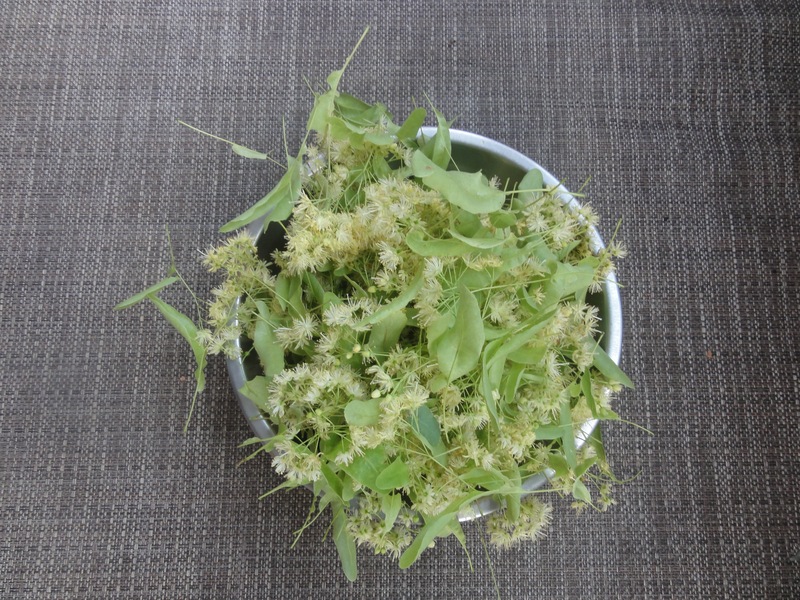 Linden blossoms: dry and enjoy as a tea when the weather turns cold. Excellent for colds and flus. You know those $4 packages of linden blossom (also known as tilleul) tea they sell at Whole Foods? That’s what this is. This morning the two of us were back out picking bright and early only today’s catch was Saskatoon berries. I’ve packed up a box to give to our CS host tomorrow. I’ll have to freeze the rest and deal with them when I get back! 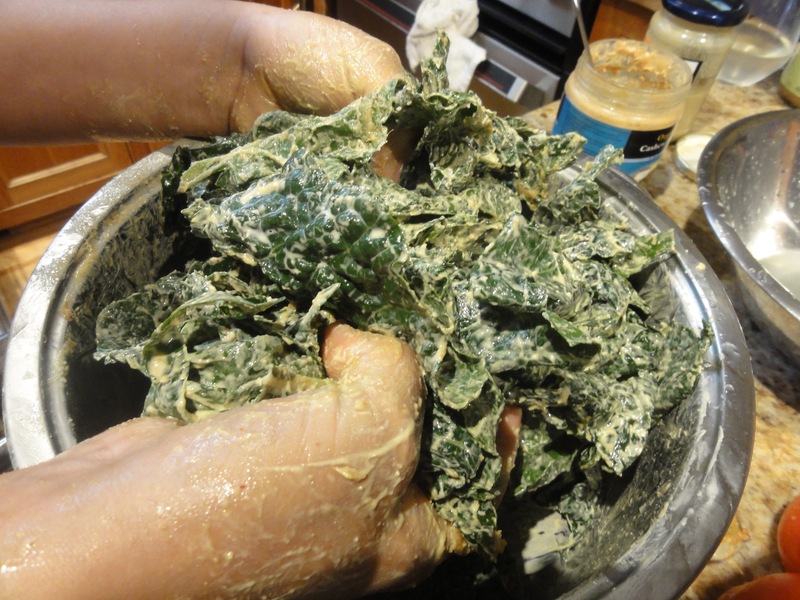 You may think Kale Chips are so 2013 and you would be right. However, they are also delicious and while the early adopters will be tiring of kale, those with CSA baskets still need to figure out what to do with it all. Bingo! This recipe is especially nice with dinosaur kale, but it works with any kind. Rip or cut the tough, centre stalk out from each piece of kale. Discard the stalks or chop for soup. Wash the kale. In a large pot, mix together the cashew butter, tahini, lemon juice and seasonings. Throw the damp kale into the pot. Use your hands to massage the mixture into the leaves. You want each leaf coated in a slurry. 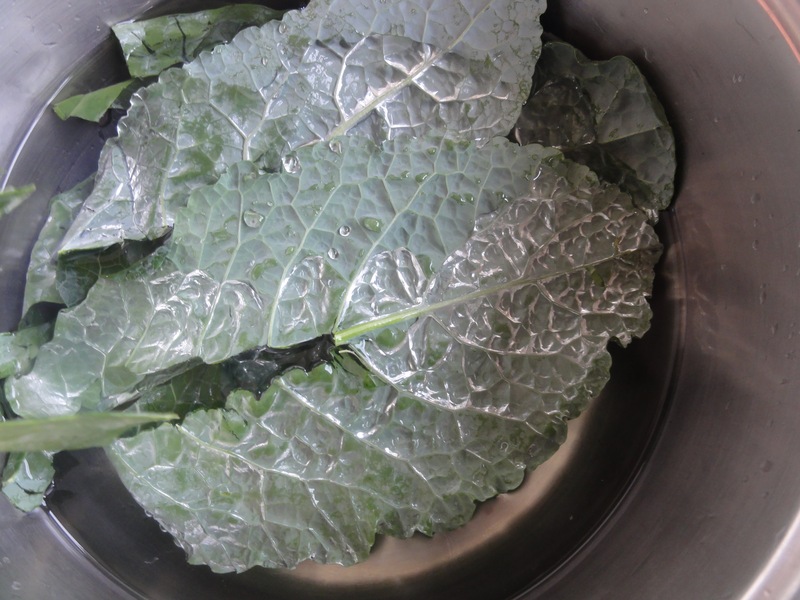 Spread the kale out in a single layer and dry overnight until crisp. Use a dehydrator or pilot light in a gas oven for this purpose. Alternatively, you can dry them in a low oven (275 F) to speed things up dramatically – should be done in an hour. Enjoy immediately or allow to cool and store in an airtight container large enough to hold them without crushing. Consume within 2 days as they begin to go stale quickly.